« Wordless Wednesday ~ Some Days a Nice Picture is Just OUT OF THE QUESTION! I used to love putting together jigsaw puzzles, but have to admit that since becoming a mom, this hobby has inadvertently been rejected. It's not that I don't still love putting together puzzles or that the thought doesn't cross my mind to pull one of those beloved boxes of puzzle pieces down from the top shelf in my closet and get started...because I do and it does. The reasons I don't assemble puzzles anymore is because they take up a ton of undisturbed space and require a certain Zen-like concentration, both of which have seemed to vanish from my life. I can still manage the concentration part when Riley goes to bed, but with a toddler on the move who's able to grab anything and everything in sight, the space issue is still a major obstacle. 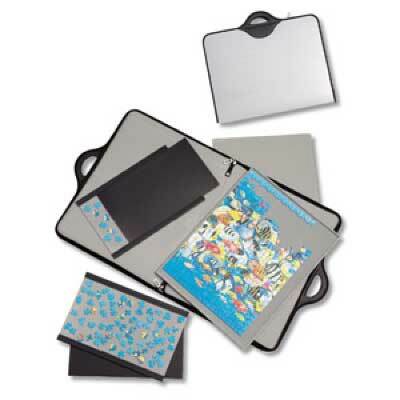 Thankfully, Jigthings has found a way around the issue of space and storage with the Jigsort 500 Jigsaw Puzzle Case. Keep reading to learn more! I reviewed the Jigsort 500Jigsaw Puzzle Case from Jigthings, which retails for $75.00 with FREE SHIPPING. The Jigsort 500 Jigsaw Puzzle Case from Jigthings allows you to store and manage partially completed jigsaw puzzles and functions as a case, carrier and caddy, all in one! With the Jigsort 500, you can work on several areas of a jigsaw puzzle simultaneously and puzzle pieces are kept safe at all times. 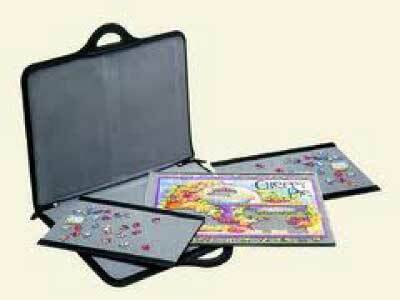 The Jigsort 500 accommodates most 500 piece jigsaw puzzles measuring up to 20" x 15". Since this product is made in England, I've found that American jigsaw puzzles measure a little differently. When looking through my current collection of 500-piece puzzles, I found that about half of them worked with the Jigsort 500, while the other half did not. So make sure to select a 500 piece puzzle with a finished size smaller than 20" x 15" before trying to use the Jigsort 500. This puzzle storage system contains a large main tray which is used for constructing the puzzle itself. It also contains two smaller sort trays which are perfect for working on smaller sections of the puzzle or storing extra pieces. If you still need additional space for storing unused puzzle pieces, you can lift the main tray out of the Jigsort and put even more pieces underneath this large tray. Need to put your puzzle away quickly? Simply put the large tray inside, slide the lids onto the two smaller sorting trays and put those on top of the large tray. The Jigsort 500 then zips completely closed, so your puzzle in progress is safe and secure inside. Of course, you still need to be careful not to unnecessarily bump or drop the Jigsort 500, for this jarring effect will cause a risk of movement to the assembled pieces. One thing's for sure though, you will never lose another puzzle piece again as long as you zip everything neatly inside the Jigsort 500. I love how easy and efficient this jigsaw puzzle storage system is. You can quickly move a puzzle from one room to another without disturbing it and now you can even take a puzzle with you when visiting another home or going on vacation. 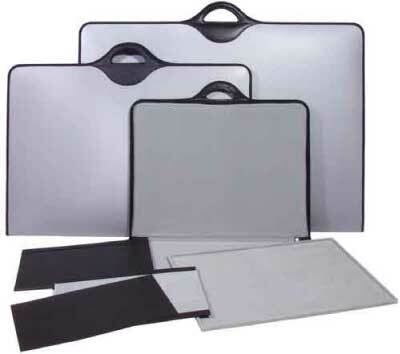 The Jigboard is covered in a soft fabric that can be placed on any table or surface without fear of scratching. This fabric covering is also what keeps the jigsaw pieces in place and combined with the raised edge around the board, ensures that individual pieces stay on, even when working at an angle. Disclosure: I received the Jigsort 500 Jigsaw Puzzle Case from Jigthings in order to facilitate my review. No other compensation was received. This product review is based on my own personal experiences with this item and is completely honest and objective.